Learning Institute. NOHTI is a yearlong program. 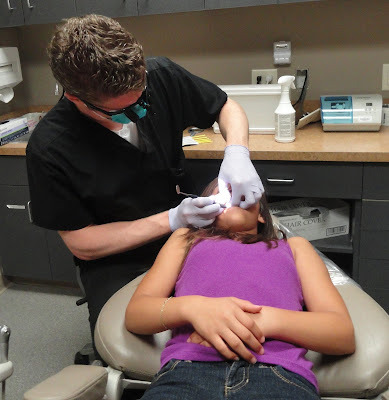 SIOUX CENTER – Dr. Kenneth Tjeerdsma is being immersed into intensive training for leadership of community health center dental program. The dentist and dental director for Promise Community Health Center in Sioux Center was selected as one of 18 participants nationwide in the 2015-16 class of the National Oral Health Learning Institute (NOHLI). Tjeerdsma returned this week from a four-day National Network for Oral Health Access (NNOHA) Conference, which was Nov. 15-18 in Indianapolis, IN, that all of the NOHLI scholars were required to attend. Nancy Dykstra, Promise’s executive director, also was required to accompany him to the initial conference. 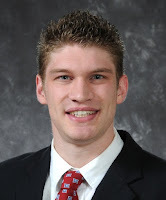 Tjeerdsma, who completed his dental training at Creighton University Dental School in Omaha, NE, in May and assumed his position at Promise in July, said he was amazed by how many community health centers there are nationwide. Tjeerdsma took part in an introductory webinar and did initial coursework in advance of the national conference. Throughout the year, he will complete seven recorded modules and assignments, six 90-minute live webinars and four 60-minute learning pod meetings. He also will attend a three-day NOHLI Boot Camp in the spring in Denver, CO, and attend a wrap-up meeting during the 2016 NNOHA Conference in November 2016 in Denver. He also will be required to devote time to testing and implementing practical changes in the dental practice. He thinks the yearlong learning institute will be a productive experience for him. “I saw it as an opportunity to learn more about how to run a dental program in a health center, along with gaining further information for my skills as a clinician,” Tjeerdsma said. 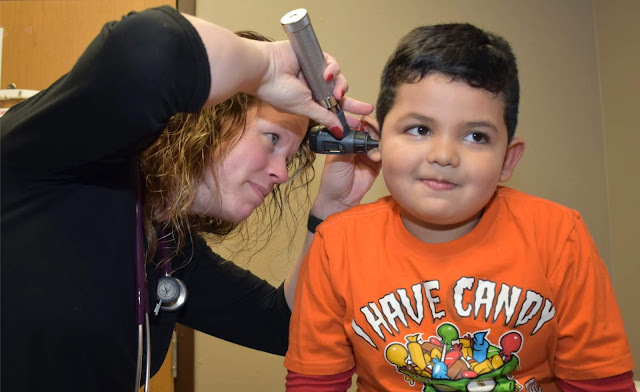 Promise Community Health Center, headquartered in Sioux Center, is the only Federally Qualified Health Center in the far northwest corner of Iowa. Promise provides medical, dental, prenatal and behavioral health services. To learn more, visit www.promisechc.org. SIOUX CENTER – Promise Community Health Center will take the next step in the growth of its services with the addition of vision care. The health center was awarded grant funding of $497,208 over two years through the U.S. Health Resources and Services Administration’s Health Center Expanded Services program to initiate the vision services and enhance its other services. Promise plans to begin offering the optometry services in early 2016 at its downtown Sioux Center health center. will begin offering vision services in early 2016. Promise has entered a partnership with Beaver Eye Care of Sioux Center to offer eye exams eight hours per week at the health center. A limited selection of corrective lens and glasses also will be available to patients at Promise. Nancy Dykstra, executive director for Promise, said people who otherwise had difficulty accessing affordable vision care now will have that option. Kleinhesselink said Promise will receive continued funding for vision services beyond the two years as part of its primary federal grant if it demonstrates that it is meeting the vision need. The Expanded Services grant also provides funding to enhance Promise’s other programs, including digital panoramic X-ray equipment for the dental program. The grant also supports additional personnel, including a medical/optometrist assistant, billing assistant and community outreach educator. “The community education piece is about making sure those who really need our care can get into our services,” Dykstra said. Nationwide, 1,184 community health centers were awarded $350 million in Expanded Services grants for medical, dental, behavioral health, pharmacy and vision care. Iowa’s 14 community health centers will receive nearly $3.92 million.